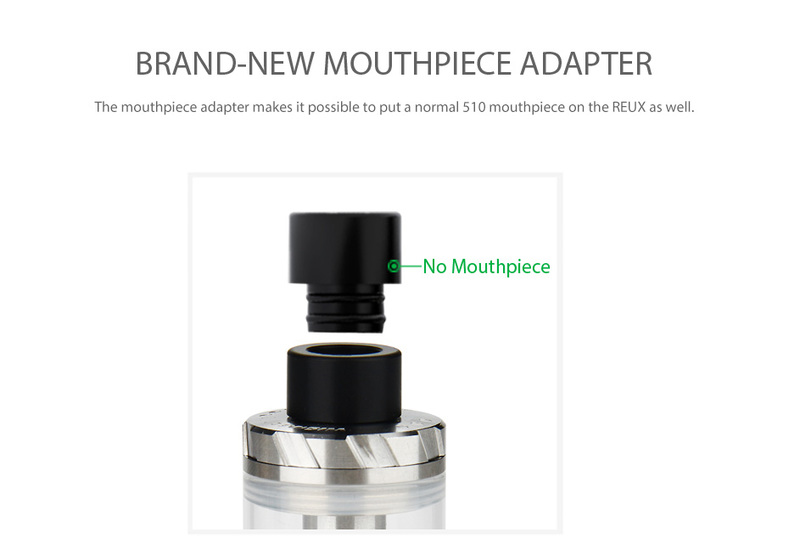 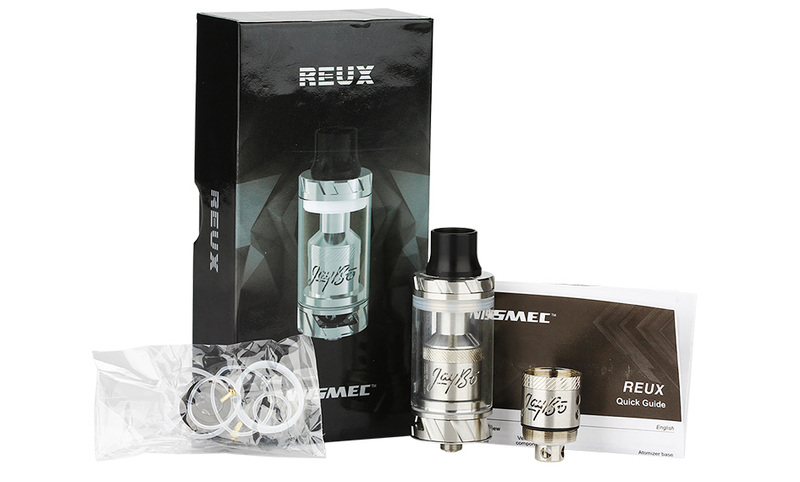 WISMEC Reux Atomizer, an innovatively designed atomizer, can both be used with replaceable atomizer head and pre-made or self-built coil as a RTA. 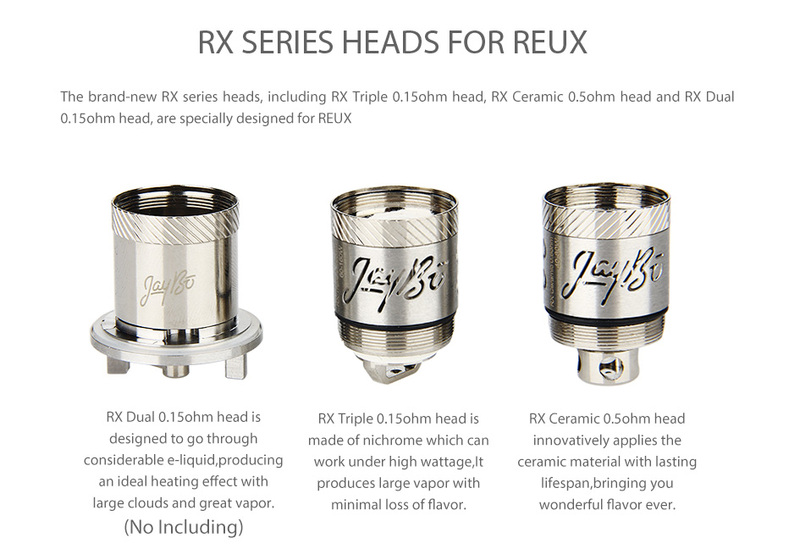 The RX series heads are capable of working under high wattage and the multiple RTA decks are designed for DIY fun. 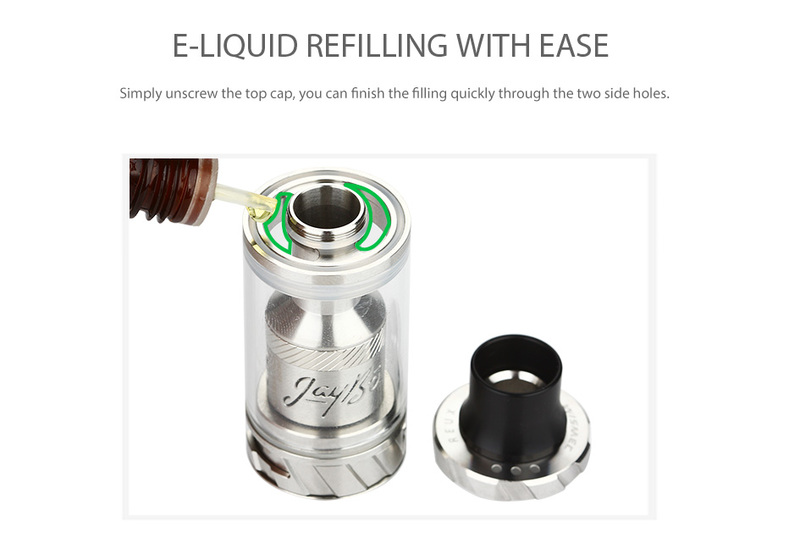 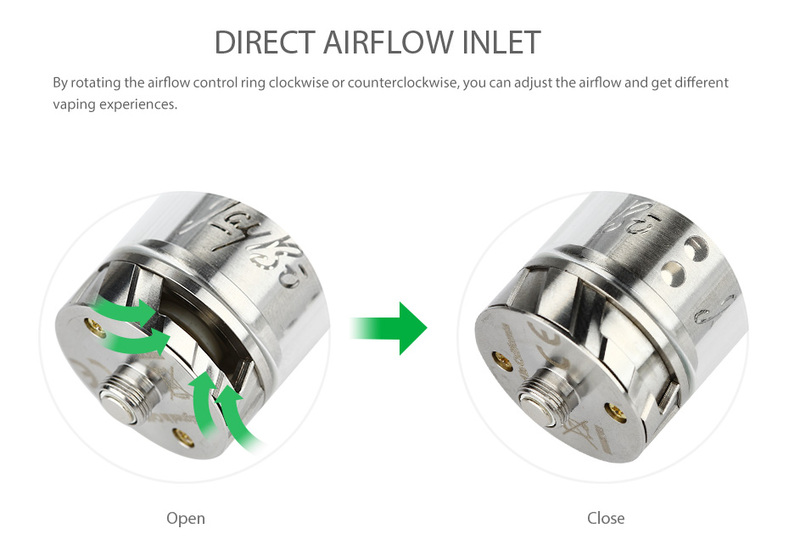 Apart from the detachable structure, the design of top e-liquid filling and bottom airflow control also make the REUX convenient in use and fashionable in look. 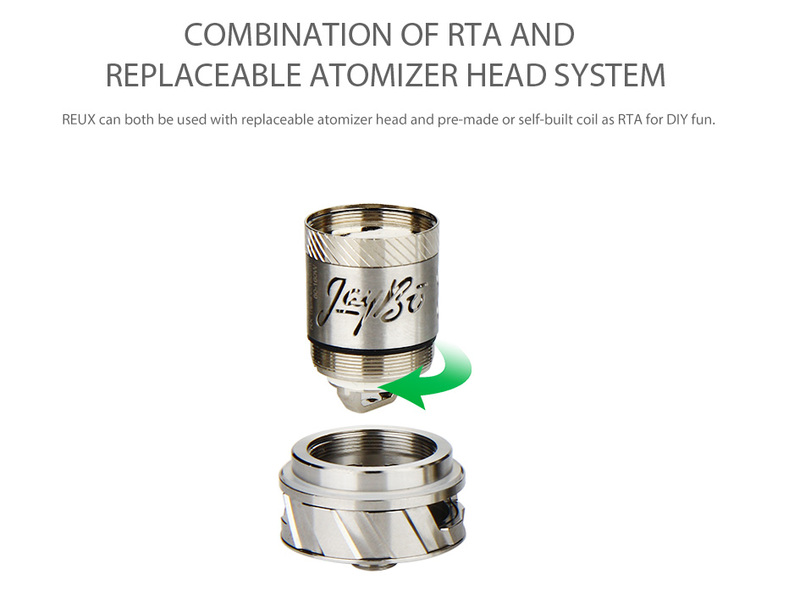 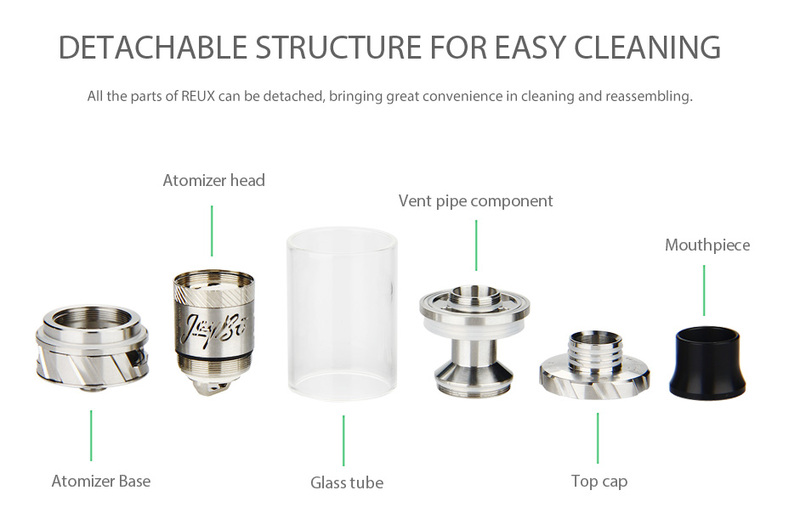 It can work with RX Dual/Triple/Ceramic Atomizer Head.